Mimics the popular wood style. Shop sizing unique to your needs. Shop by selecting colors that you like. Did you know some of the oldest floors are ceramic? Ceramic is a material that dates back to ancient times. It was often used for wall decorations and mosaics as long ago as Ancient Egypt! In fact, ceramic tiles were hand crafted and left to dry in the heat of the warm sun; a process that was done only by very talented artisans. These were made exclusively for palaces for kings and seen as a luxury item for the wealthy and powerful. The process has since been mechanized, allowing for quicker production of larger quantities at lower prices, thus opening the door and making ceramics accessible to all walks of life. 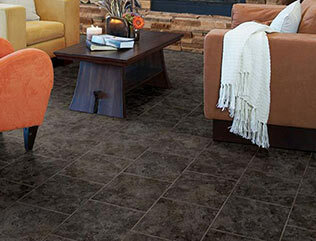 While many things have changed, one thing has not: the beauty and look of luxury that ceramic tile flooring can offer. 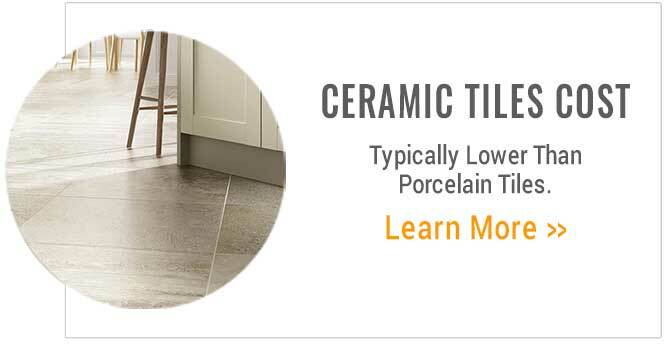 Ceramic floor tiles are known for being a highly durable flooring option that not only looks good and is easy to clean, but is also low cost. 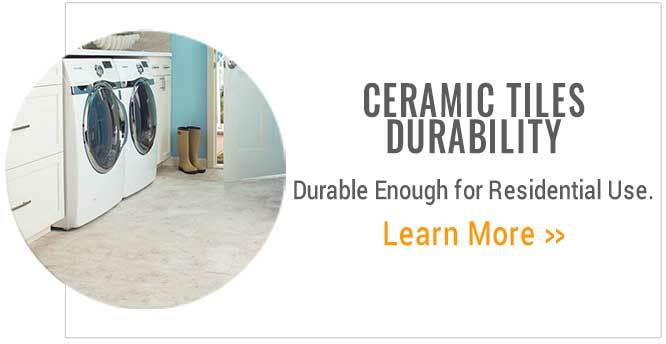 The durable surface of a ceramic tile makes it resistant to scratching, stains, and longer lasting than carpet or other floor types. 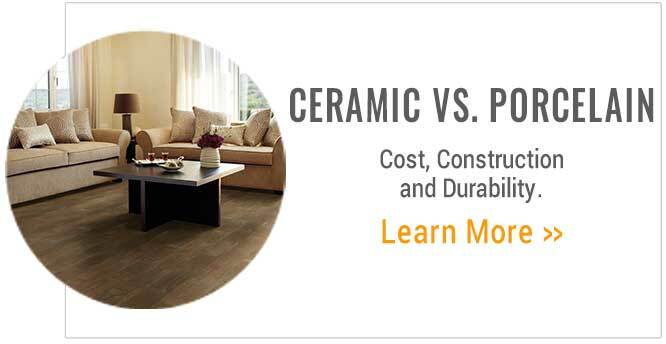 Ceramic tiles are budget friendly and known for longevity - talk about the “bang for your buck”! Ceramic tiles are composed of clay, typically red, and a combination of water, sand, feldspar and quartz. these materials are mixed to create a the base ingredient for a ceramic tile, what we call a “body slip”. The body slip is dried, and then the material is pressed into a set size and shape to prepare for glazing and baking. A glaze is applied as a protection for the tile as well as attractive imagery or colors to replicate a natural stone or wood look. The tile is then ready to be baked in a kiln at very high temperatures to complete it’s process & become strong enough for installation on a floor. Square Tiles If you are a traditional person, square sizing is the perfect option for your tastes. 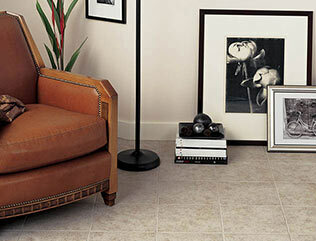 Square tile shapes are quite common and are typically made to resemble the look of natural stone. Square ceramic tiles are offered in a range of sizes, anywhere from 6” square all the way up to 48”. Square tile sizes allow for plenty of fun and unique tile layouts, including a basic grid pattern, a brickwork look, diagonal layout, checkerboard, and many other fun designs. Rectangle Tiles If a sleek and modern look is important to you, a rectangular shape may be right up your alley. 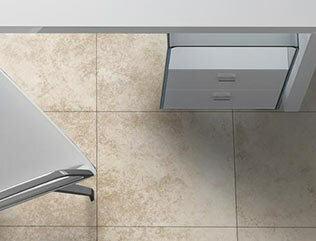 Rectangle tiles are becoming more popular in the home as well as in commercial applications. A rectangular tile is typically twice as long as it is wide, for example 2' long x 1' wide. The shape and size options give a modern, contemporary linear look that can dramatically change any space. Rectangular tiles can even make spaces like a small bathroom appear larger and more open. This modern size helps minimize the visual impact of grout lines and can make the pattern flow, appearing more seamless. 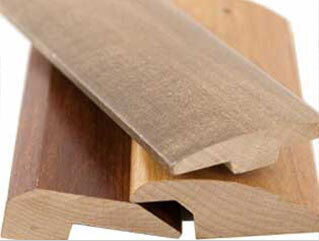 Plank Tiles Plank looks are often made to replicate the look of natural hardwood floors. A plank tile is typically significantly longer than it is wide. 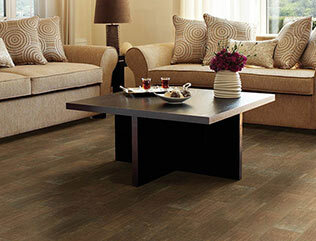 Plank shaped tiles can also make a smaller room appear larger by giving a long, linear look. 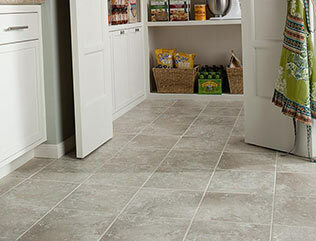 Planks put less grout lines on your floor, which can help it look less busy, thus enlarging the space. If you are already interested in a wood look but want something that is really durable, a wood plank shape only makes sense, right? Everybody has that one friend that is always up to date on whatever the new stylish trend is, right? 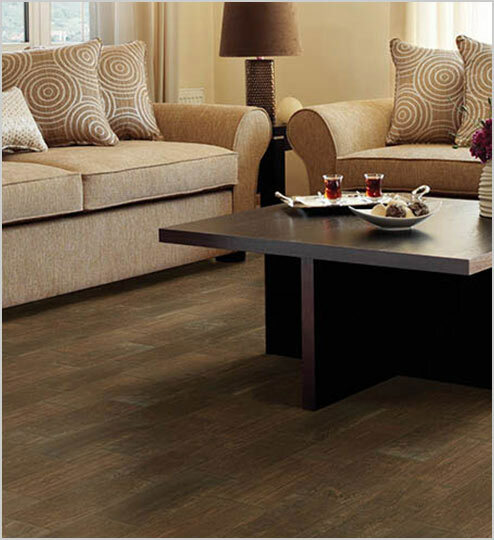 Like the endless availability of fashion styles, many style options are available when it comes to flooring! We all know that technology is booming, but I bet you didn’t realize that meant anything for your floors! These new technologies now give you looks like wood, stone, marble, modern linear looks, even traditional flooring styles that are durable and easy to clean. These styles basically mimic the the real deal and, unlike stone, never have to be sealed, and unlike hardwood, can be installed on any level of the home. This is completely dependent upon your taste and preference. There are infinite options for all of these looks, so it is important to order samples and make your decision based on your liking. Shade variation is an inherent characteristic of all tile products, even man made fired products like ceramic and porcelain. Fired ceramic tile products naturally take color differently, meaning that within each product line and production batch, there can be variation from one tile to the next. These differences can be seen in color shade as well as texture. Don’t worry though - tile products actually have a rating system so you can actually choose the amount of variation. Whether you prefer a more uniform look or the natural look of real stone, there are many options available. What do the shade variation ratings mean? Low - the most uniform look and offers consistency across the entire floor surface. Any differences in the same production batch will be minimal. Medium - a slight difference in color or texture within each tile. Slightly more natural stone look. High - a significant amount of variation in shade or texture between multiple tiles, creating a natural stone look. Blend tiles from cartons together for the best appearance. Application You wouldn't wear snow gloves outdoors in Arizona in August would you? Likely not, because that is not the application they were designed for. Alternatively, you probably wouldn't wear flip flops in a foot of snow. 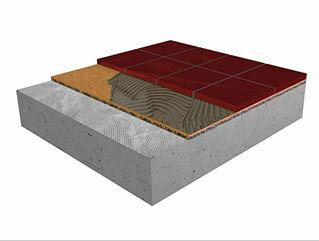 This may seem obvious, but tile products are designed with certain applications in mind. Some tiles are specially constructed to be installed only in specific areas, such as in the home or only in commercial areas like workplaces. Since some tiles are more durable than others and able to handle heavier foot traffic, it is important to choose based on where you are installing the tiles. Residential: The Double Loaded body, also known as “Double Charging”, is when two pieces of porcelain tile (not necessarily the same color) are sandwiched together and fired to form one very solid piece. This creates a durable and hard wearing tile that has the surface color going through approximately half of the tile thickness. Residential/Commercial: The application of the tile can be an important factor in which tile to choose for the right environment. 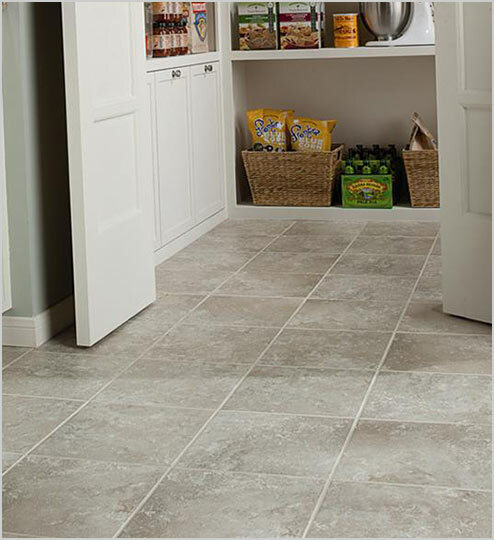 Just as you likely wouldn’t bring flip flops on a winter vacation, you would not want to choose the floor tile for your space. Below, we break down the different application types. As with anything in life, you typically get what you paid for. While a low price tile may be the perfect fit your budget, it might not necessarily deliver the up close, high quality image or quality you were hoping for. Alternatively, if you are looking for the highest quality and attractive tile option, you are likely going to pay for that. 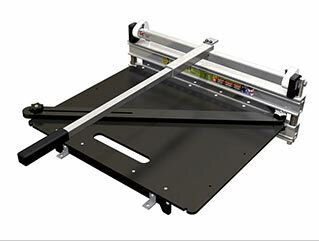 Better technologies used in creating more durable tiles or HD images add to the product cost. The good news is we offer many options for both scenarios, and everything in between. Order your free samples so you can see and feel the differences for yourself.